Anne Robinson delves into different areas of contemporary British life. She explores the subject of body image, meeting make-up addicts, gym obsessives and naturists. Anne Robinson looks good for a woman of 72, but she works hard at it. She's been on a diet for most of her life, has had a facelift, goes on an expensive biannual detox, exercises nearly every day, has her hair done once a week and spends lots of money on her clothes. But aren't younger generations under even more pressure to look good than ever before? She meets the make-up addicts who spend more time getting ready for a night out than on the night itself, a couple of gym obsessives in pursuit of Instagram followers and a young man going under the knife in the hope that he will be 'perfect' one day. Anne wants to know why we're all so obsessed with our appearance and what's wrong with being ugly anyway? 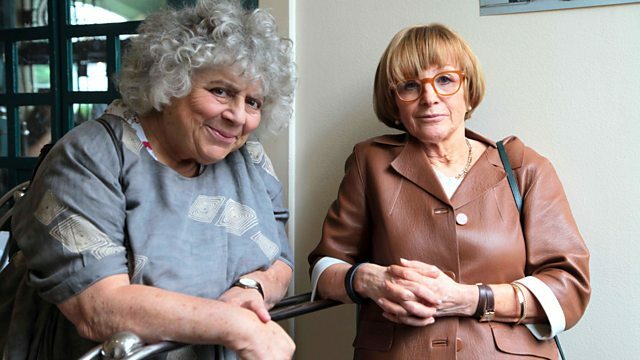 As a counterpoint to those who are obsessed with their looks she meets some people who very definitely aren't - from the naturists who let it all hang out, to the young comedian speaking out against body shaming, to outspoken actress Miriam Margolyes who tries to coax Anne to eat more than a lettuce leaf over lunch. Anne also dons a niquab for a day to experience the rare feeling of what it's like to not be judged on her looks at all. She also gives two men the chance to delve into each other's grooming routines. Alex hides his insecurities by wearing up to ten beauty products at a time, while Danny's idea of grooming is washing his face with water and brushing his teeth. What can they learn from their very different approaches to maintaining their appearance? "I'm permanently on a diet"